There are many, many digital communication modes used within Amateur Radio. One of the most popular modes back in the 1990’s was Packet Radio. 1200bps (or 9600bps if you could afford the gear) links to VHF/UHF BBS’ and gateways, 300bps HF links between stations, the odd satellite or space station link – wow it was fast. Of course, today 1200bps wouldn’t be enough to handle a single SMTP (e-mail) connection between 2 computers. Today, one of the new digital modes in Amateur Radio is called HSMM or Mesh Networking, which is using the frequencies located within the ISM bands of which Amateur Radio operators are granted Secondary Band User status and using higher power and beefed up antennas to create high-speed data links over longer distances. Once the initial network is built, secondary and tertiary links are formed between stations to create a mesh, which provides redundancy. From an emergency communications point of view, there are definite advantages, not the least of which being that trained operators could use their equipment to create a temporary bridge between 2 or more networks at locations cut off as a result of a disaster to allow relief traffic to flow. We as Amateurs wouldn’t even have to pass the traffic, it would be a function of their network. Our job at that point would be to build and maintain the bridge. And that’s just one small application. Once you’ve got a pipe of 10+ Mbps as your disposal, you can start pushing VoIP traffic, H.323 videoconferencing (either point to point or multi-point), build a small independent SMTP e-mail network, etc… If you can build the network out wide enough, you can have several points of egress into the public Internet – that way a member of the network who loses their Internet connection due to an event can use the mesh network to regain access. Solutions like this seem to come about because a good number of Amateur Radio operators are I.T. professionals as well. 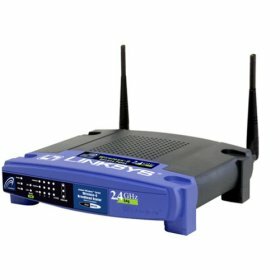 Myself, I’ve been a freelance/self-employed corporate network specialist for 16 years, so a network solution like this is VERY attractive to me. 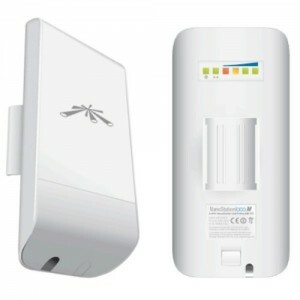 I just ordered a Ubiquiti NanoStation M2. Once it gets here, I’m going to mount it on my tower and see if I can see any networks to join 🙂 If there is anyone in southern Ontario reading this involved in currently existing Mesh networks, I’d love to hear from you.